Bidets are sometimes shunned in American culture, but with the growing trend of sustainability and green building materials, it's about time for these devices to enjoy a coming out party in the North American washroom. While most people wouldn't think that a bidet is a sustainable technology, they actually provide a wide range of benefits that could help reduce a homeowner's carbon footprint. 1. Cut down on toilet paper usage. This may seem like a no-brainer, but not having to pick up toilet paper every few weeks can help put money back into a homeowner's pocket and spare thousands of trees from being turned into the material. Cutting down on this usage could be a huge boost for the environment. According to TreeHugger.com, Americans use 36.5 billion rolls of toilet paper each year, which will pulp approximately 15 million trees in the process. Simply put, adding a bidet to one's home could be one of, the most sustainable improvements possible to reduce a person's impact on the environment. 2. Water usage. While it may seem counterintuitive, bidets will actually help cut down on water usage in the bathroom. This is not tied to the direct usage of the device, but when compared with the water needed to create rolls of toilet paper, it's a no-brainer. Of those billions and billions of toilet paper that are used each year by Americans, more than 473 trillion gallons of water will be needed to make the paper, reports ScientificAmerican.com. This is also not counting the electricity used to make the paper and the emissions that are released into the atmosphere as it heads to a grocery store. 3. Septic tanks and treatment plants. Toilet paper also places a burden on septic tanks and water treatment plants, which need to process the material and dispose of it effectively. Homeowners who install bidets will have to drain their septic system far less often, which can help reduce long-term costs and reduce the occurrence of clogged-up pipes. Bidets may still have a long way to go before they are universally-embraced in American culture, but they are already catching on with eco-conscious individuals. 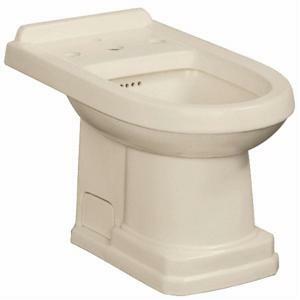 Best of all, with today's bidet seat attachments that can be added onto an existing toilet, homeowners can reap the benefits of this bathroom feature without having to go through a full-scale remodeling project.